The inspiration for this recipe comes from a website: www.adashofcompassion.com, but the original recipe posted there was a little high in calories for me. So I took it to my test kitchen to see if I could come up with an alternative that still tasted delicious. And I did! It worked! 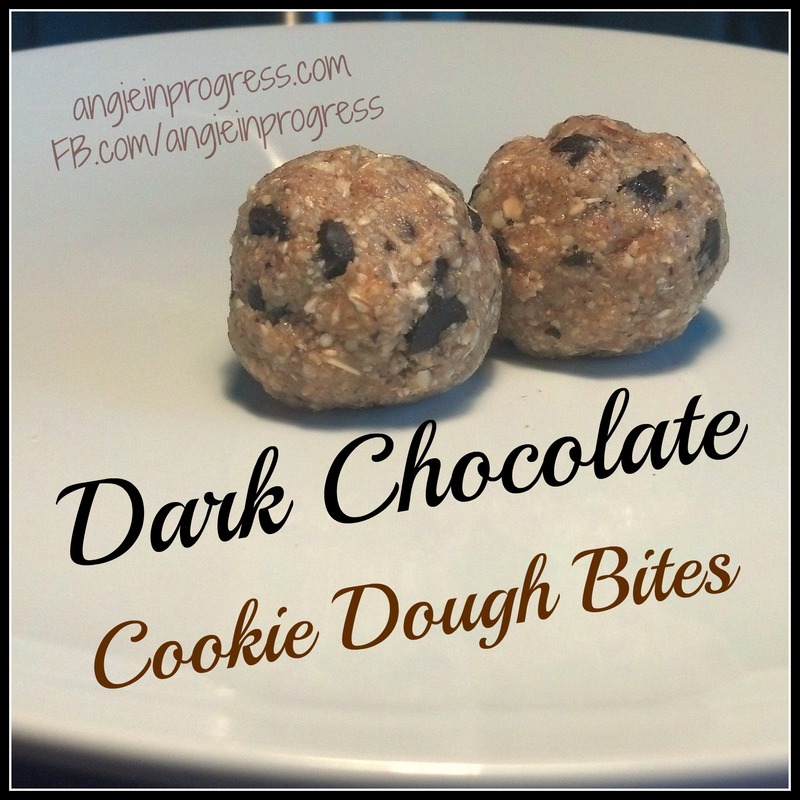 It really tastes just the same as the original recipe, but with HALF the calories! Yay! So here is the recipe. Enjoy! Directions: In a food processor or blender, process the almonds, walnuts, oats, cinnamon and salt to a fine meal. Transfer to bowl. Add the honey and vanilla, and mix. Next, add chocolate chips and combine. Wet hands and roll into 1 tsp.-sized balls (should make about 15) and place them on a cookie pan lined with foil or parchment paper. Place the pan into the freezer for about an hour to firm up. Store balls in a tightly covered container, or Ziploc bag in the freezer. Each bite is 78 calories. For more healthy, family-friendly recipes and meal plan suggestions, get my FREE weekly meal plan! Previous PostPrevious This is BIG News! Next PostNext Pizza Night Done Right!